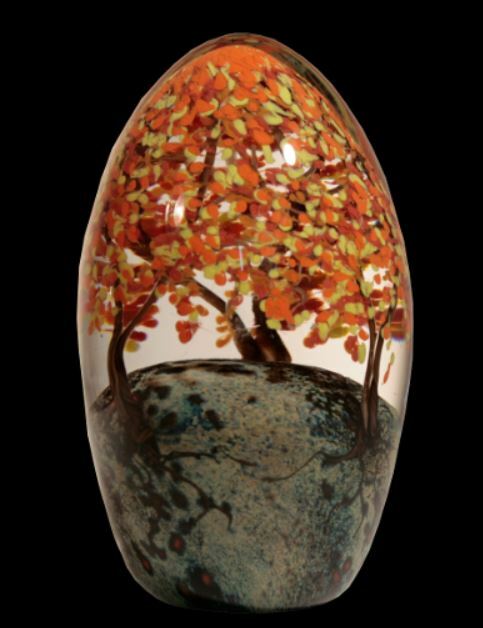 Born in Washington D.C. Cathy Richardson grew up in Falls Church, Virginia. 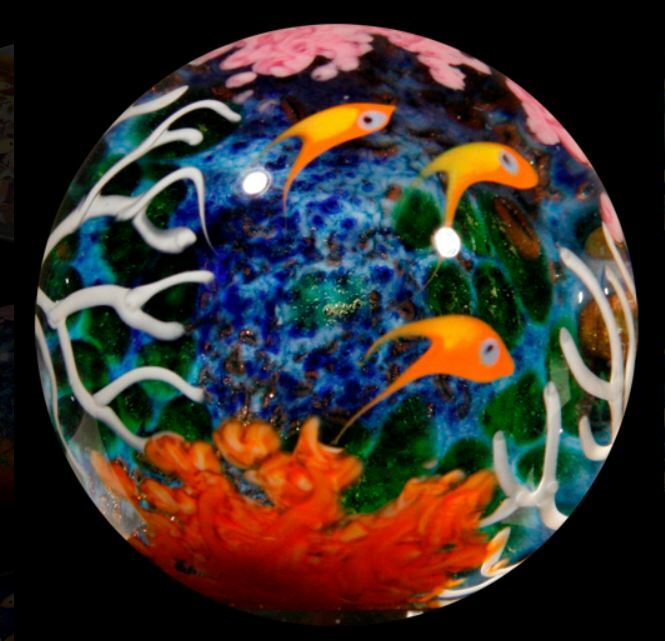 She was interested in art at a young age and spent a lot of time learning to draw and paint. 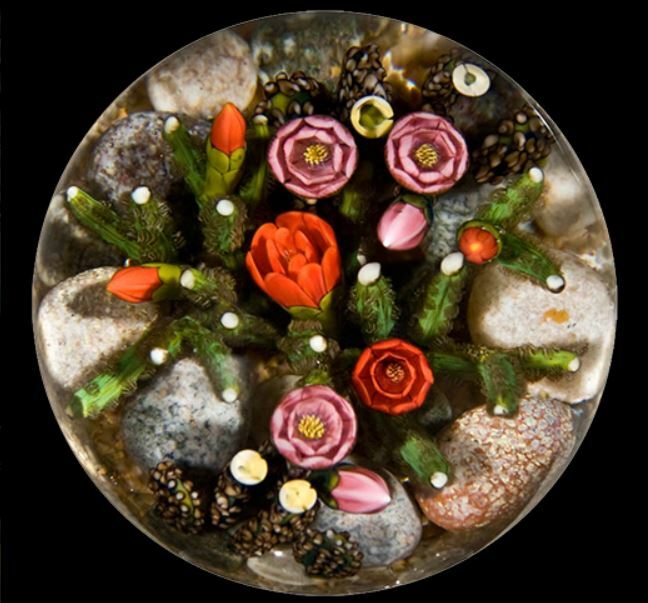 Through early experiences, she developed a life-long love of both art and nature. 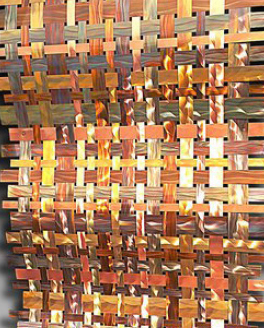 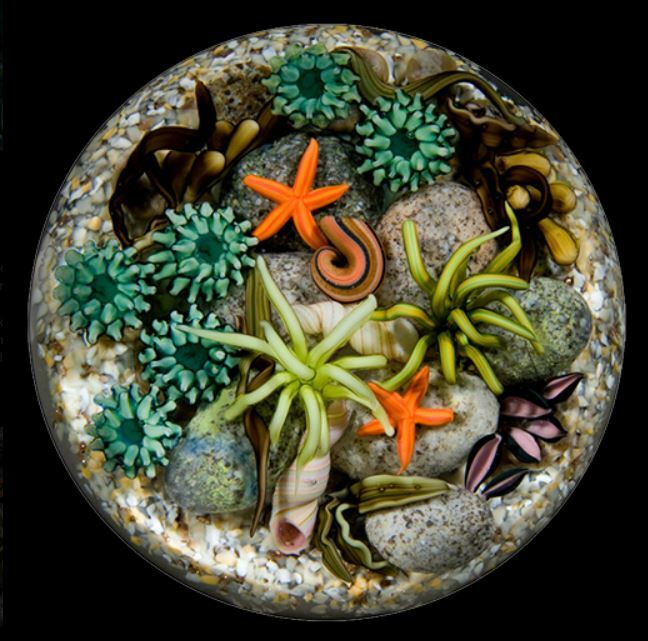 Cathy Richarson chose not to study art in college however, pursued a career in geology (BA, MA and PhD). 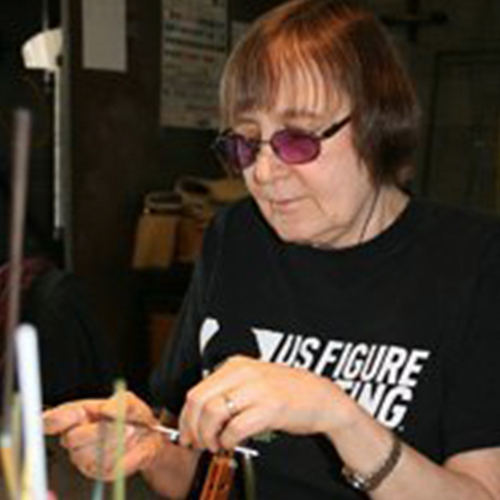 When research funding died in the 1980’s, she returned to her first love—art and built a stained glass business. 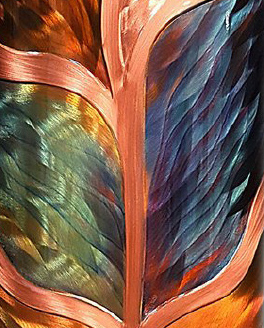 She admired the flowing organic lines in the work done by Art Nouveau artists such as Alphonse Mucha as well as some of the beautifully done old books and manuscripts with elaborate borders. 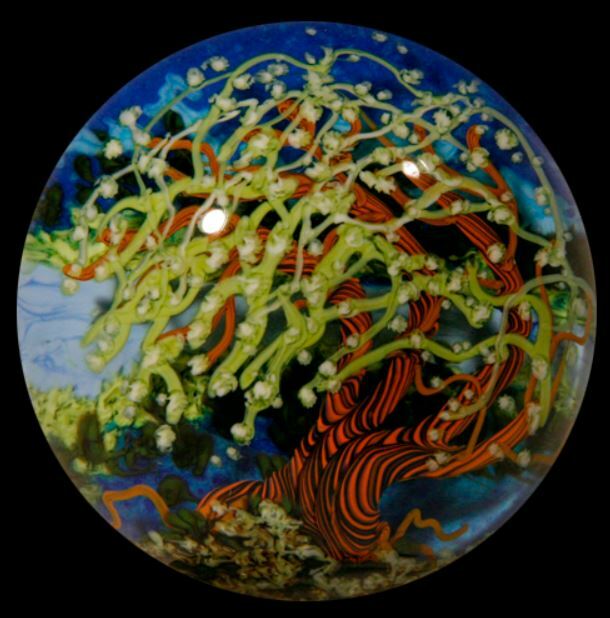 Many of Cathy’s paintings as well as stained glass panels incorporated intricate borders that set off the naturalistic interiors. 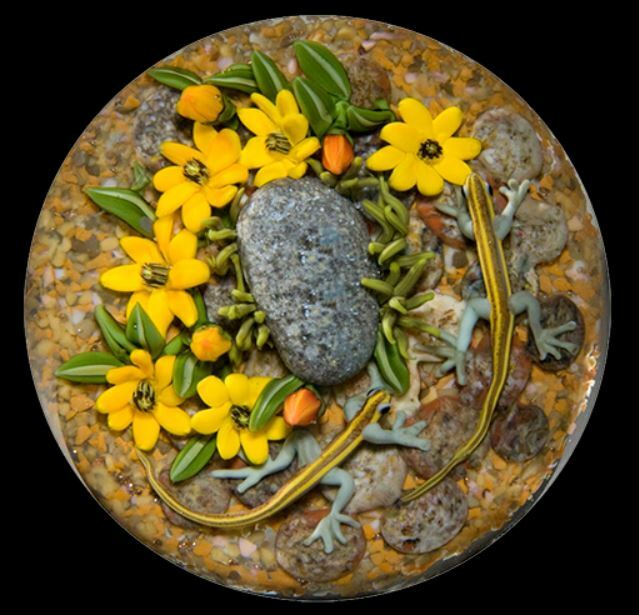 ​Throughout her artistic journey, she has retained a fascination for small details, the interplay of light, color, and textures.She tries to find a way to present each plant or animal in an environment that seems real and yet shows it off in an artistic composition. 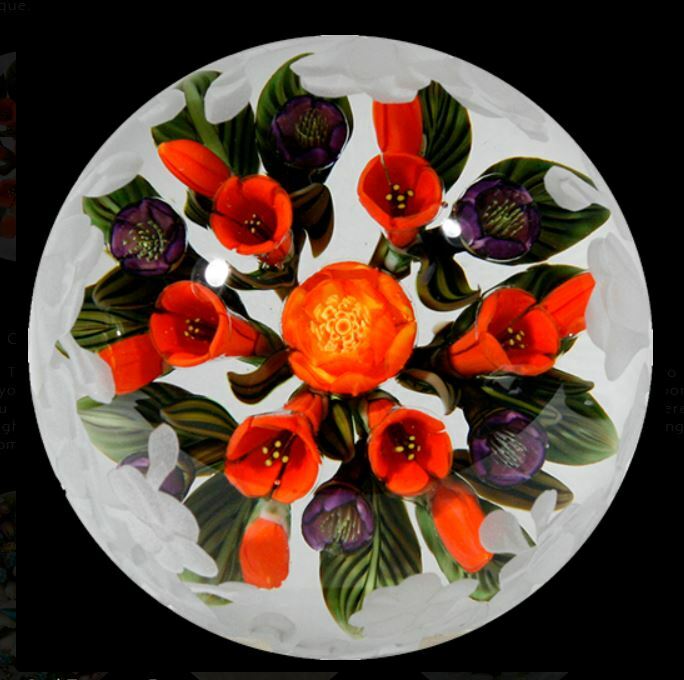 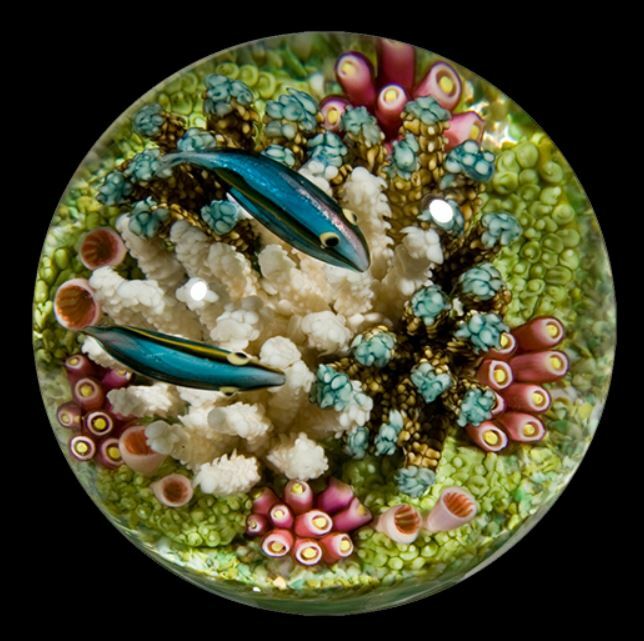 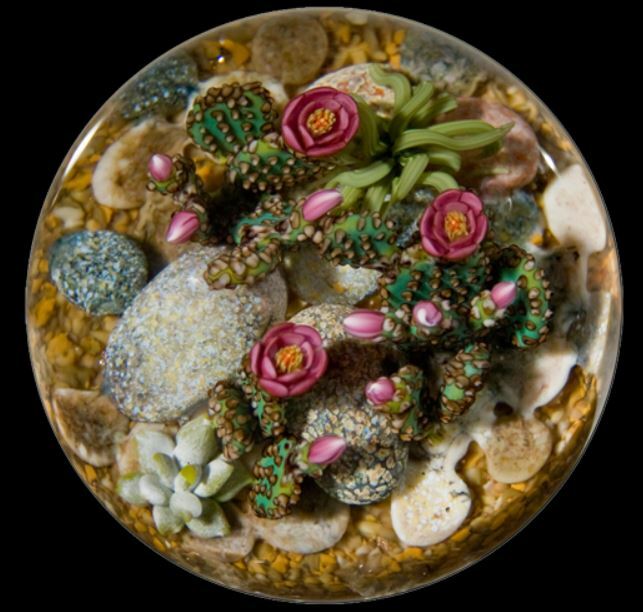 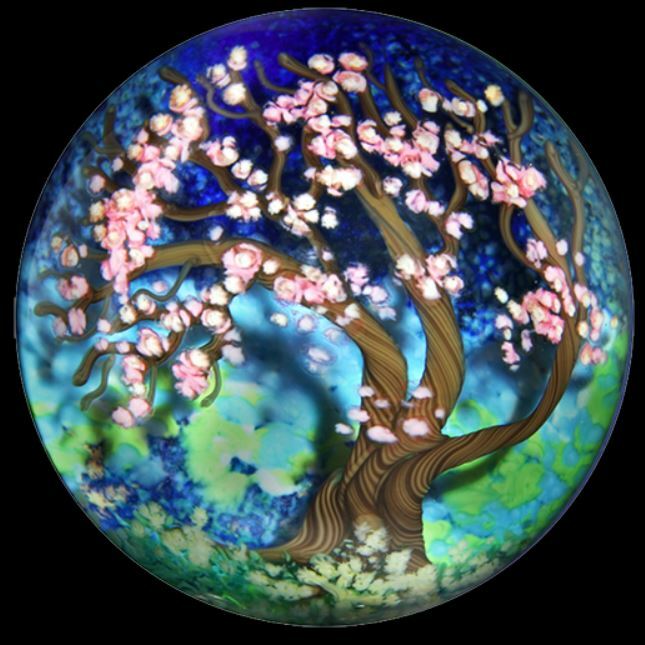 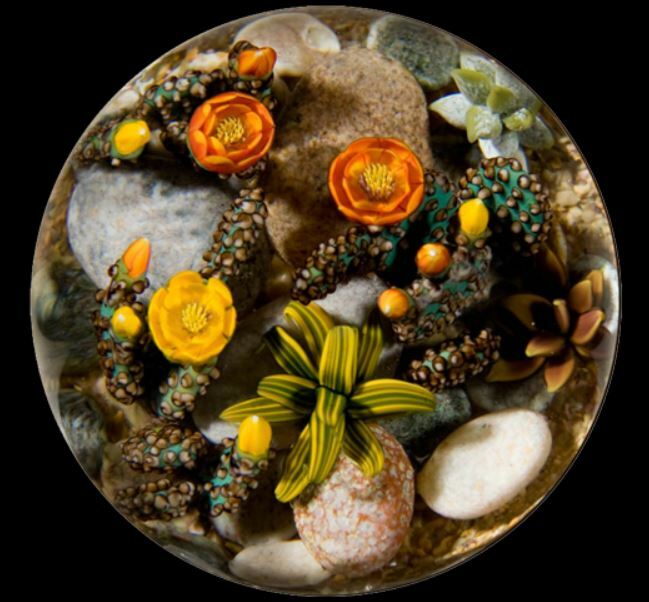 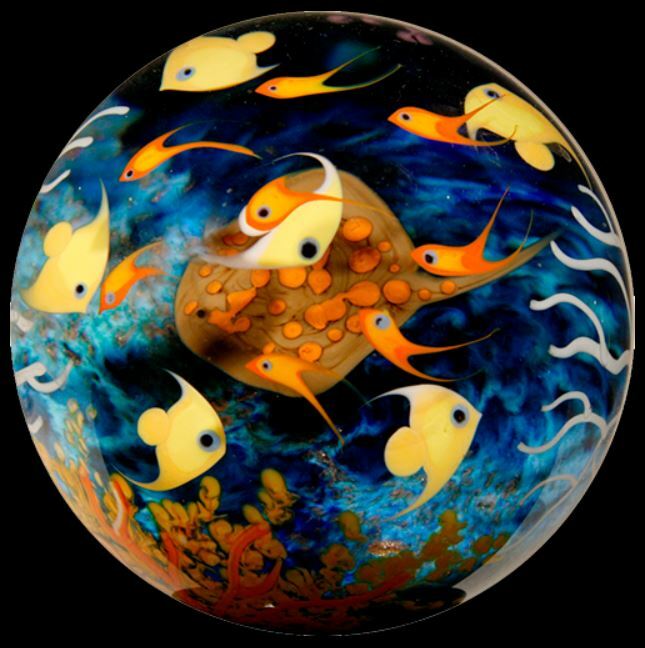 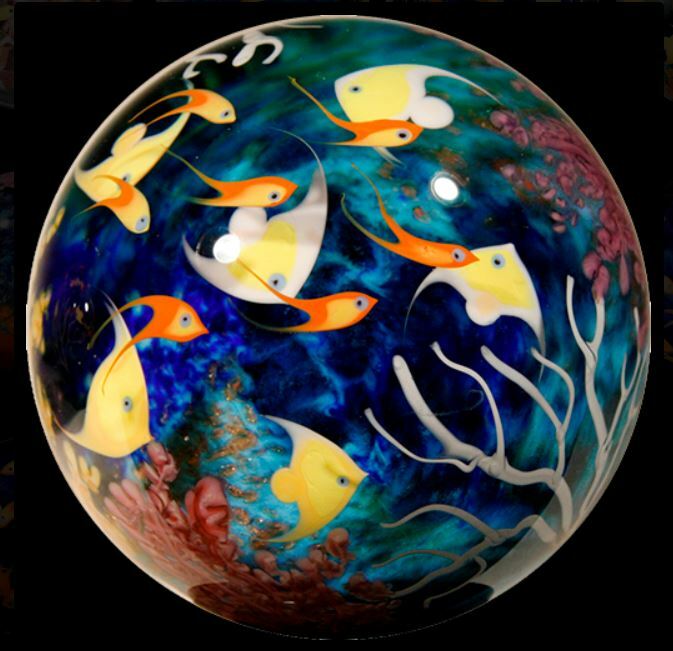 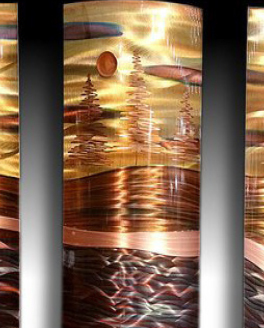 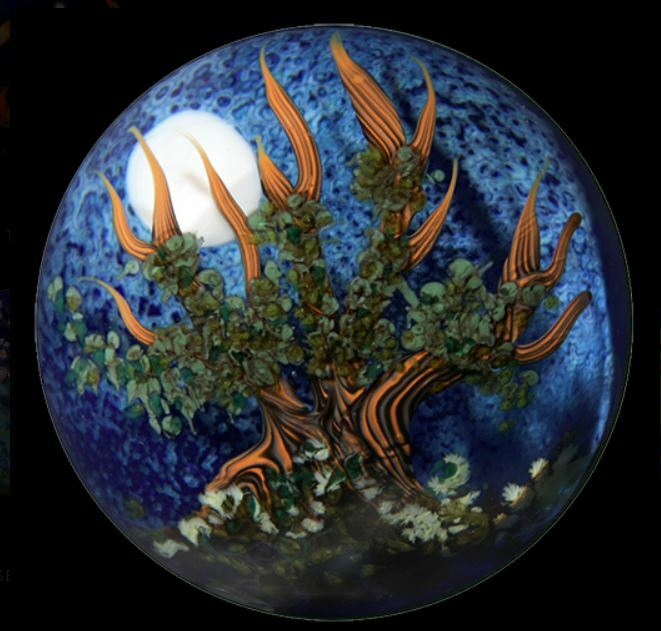 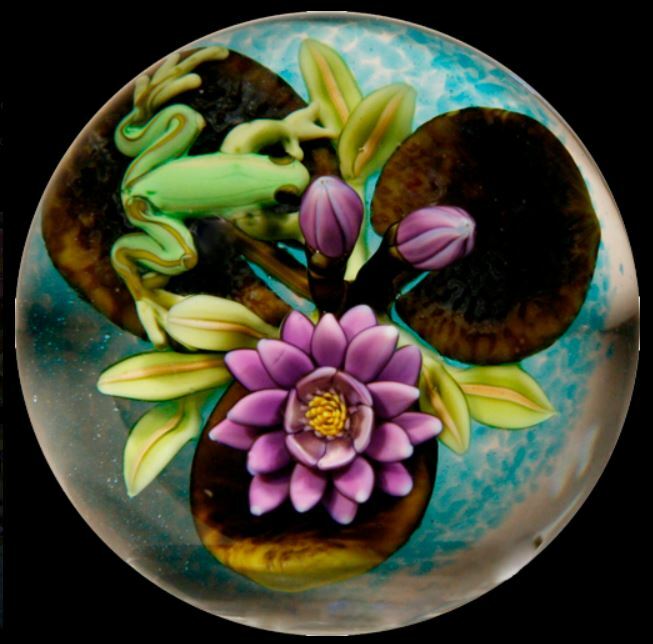 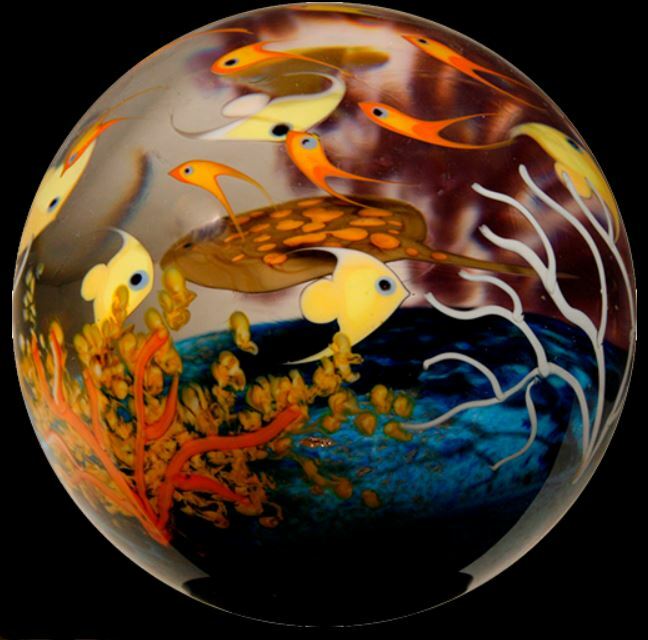 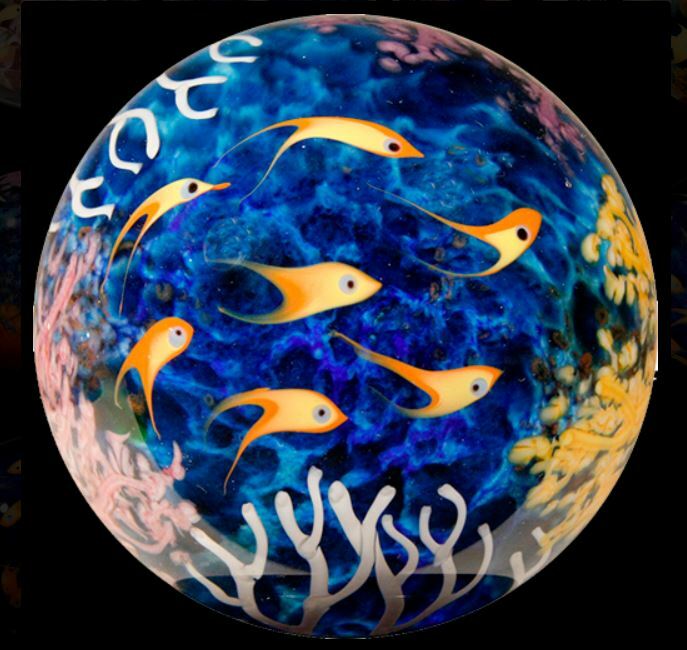 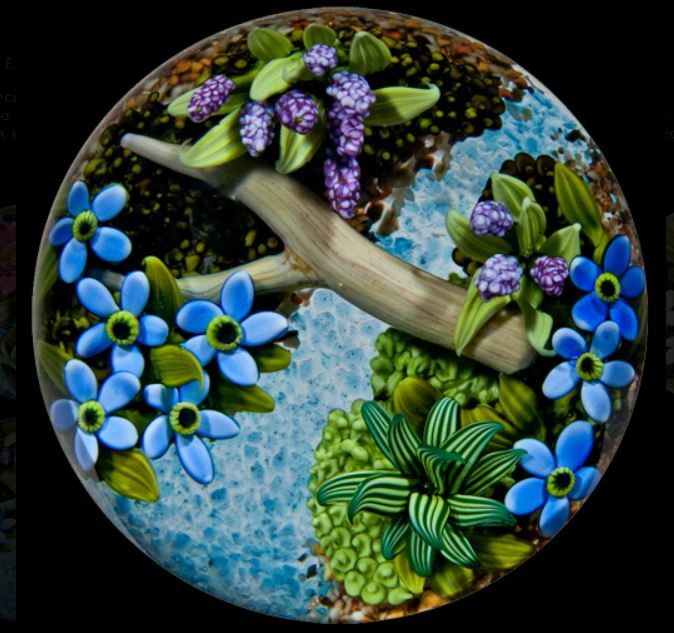 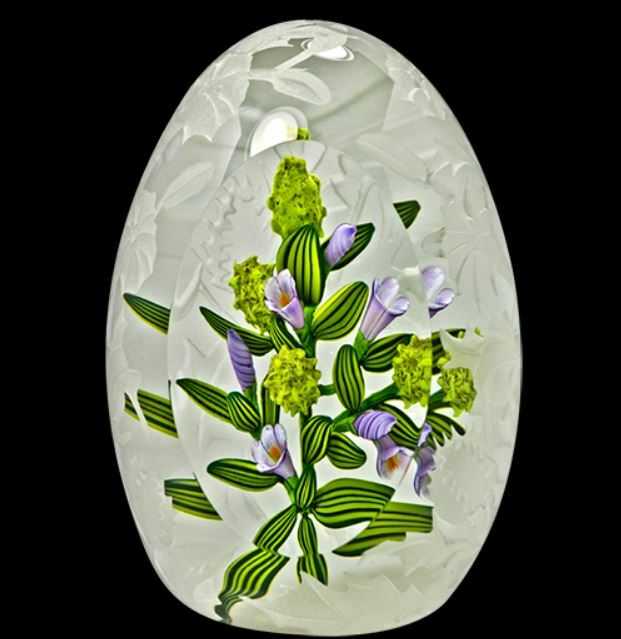 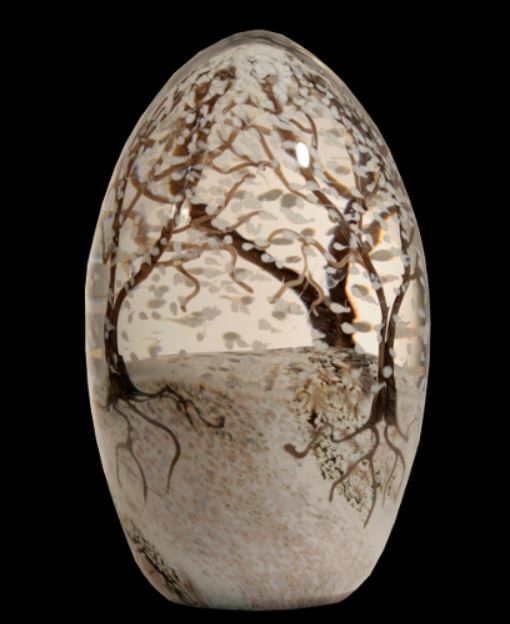 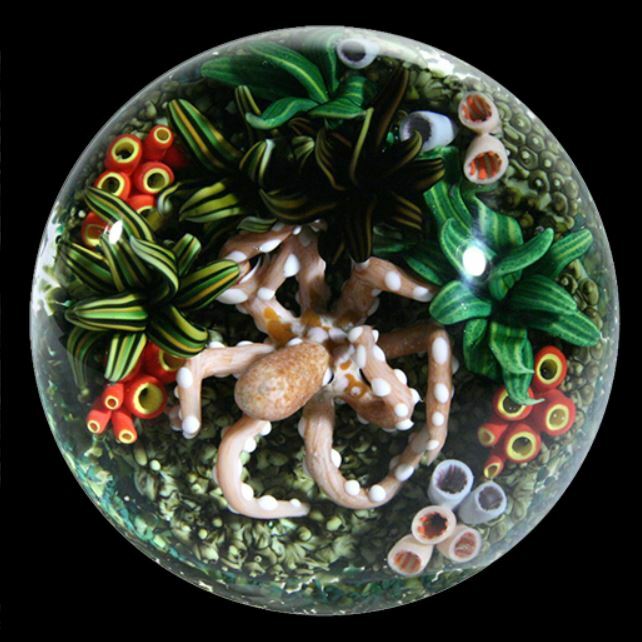 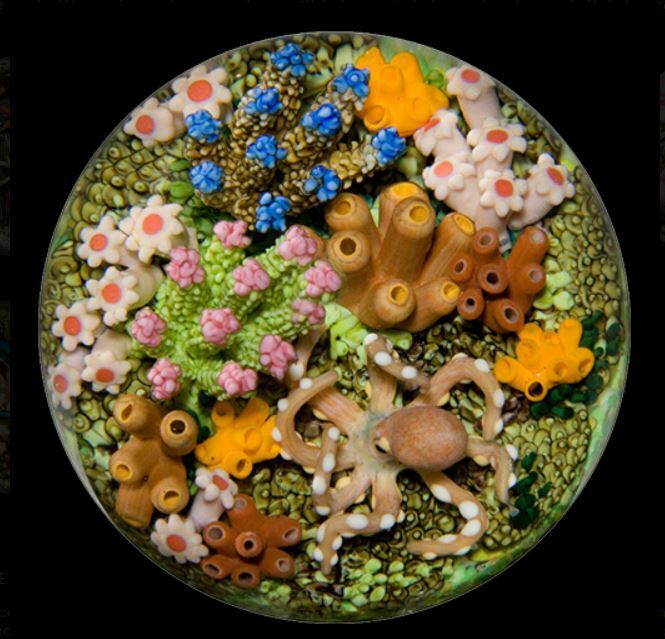 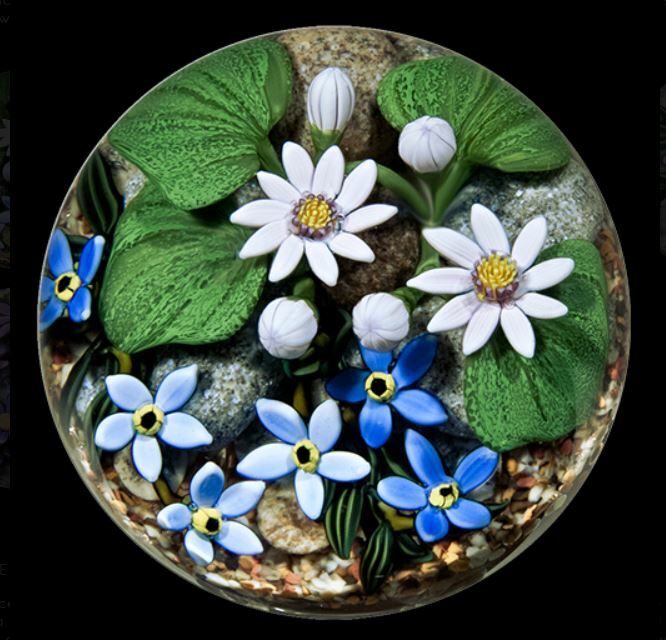 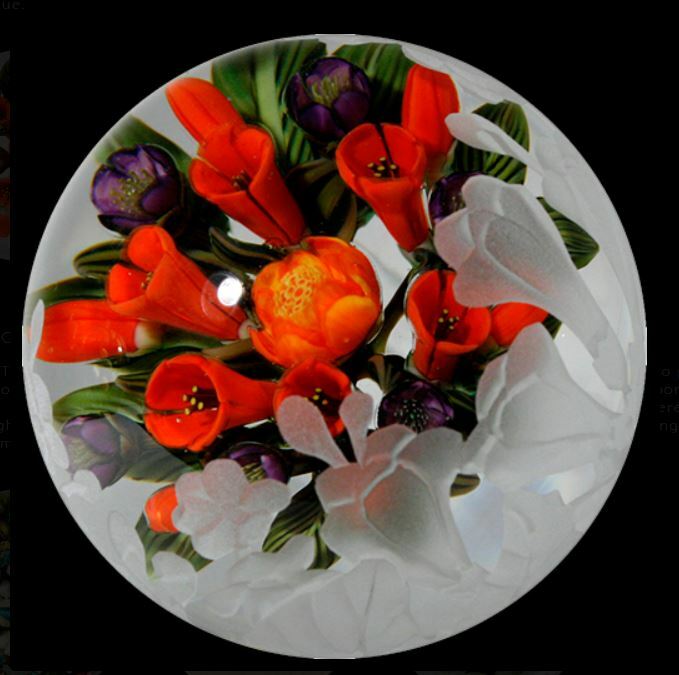 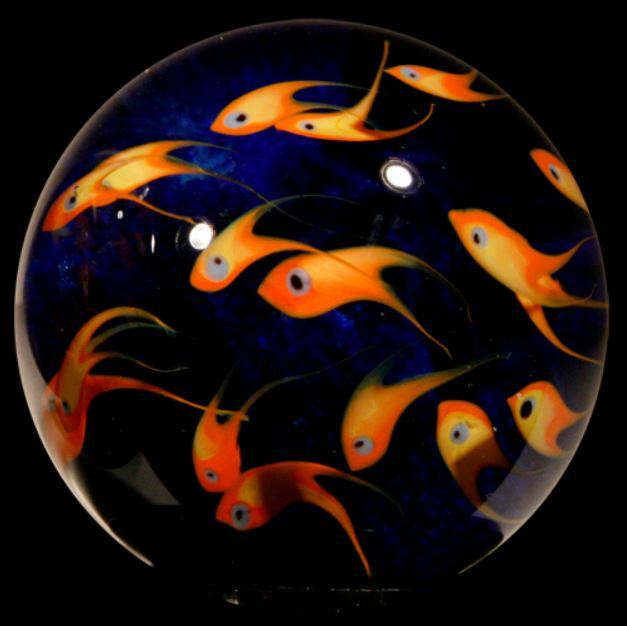 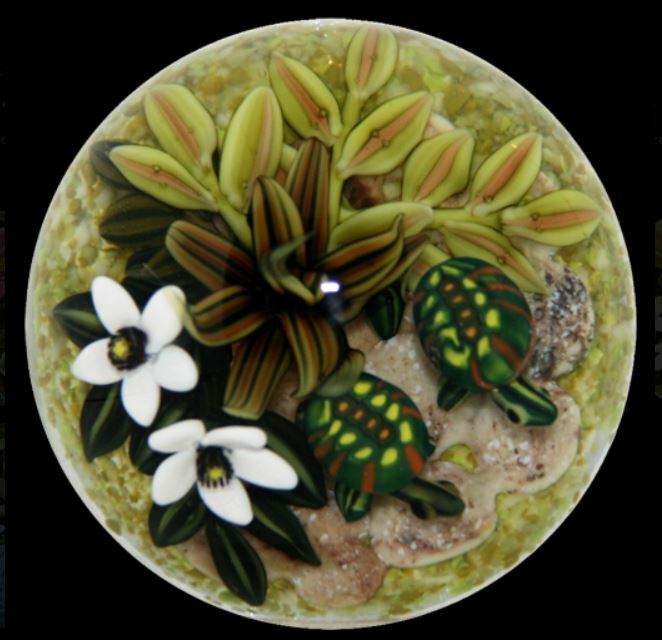 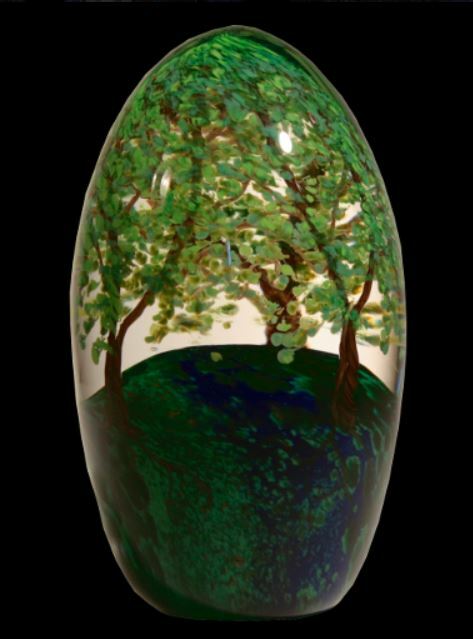 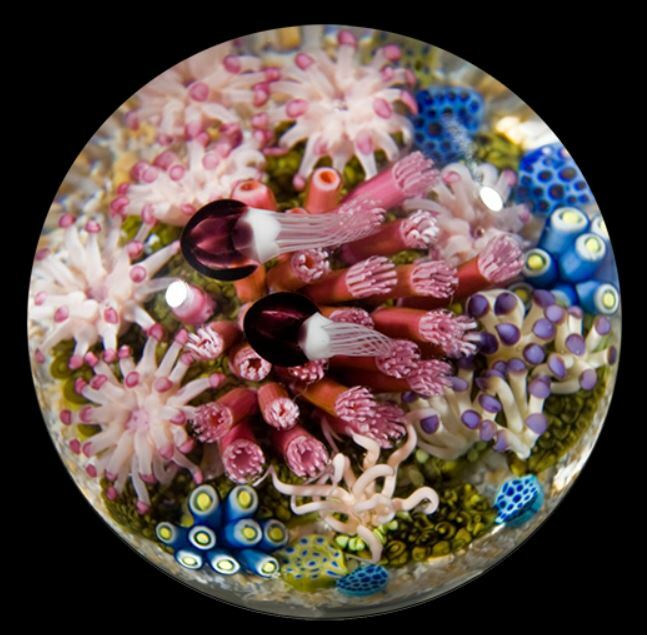 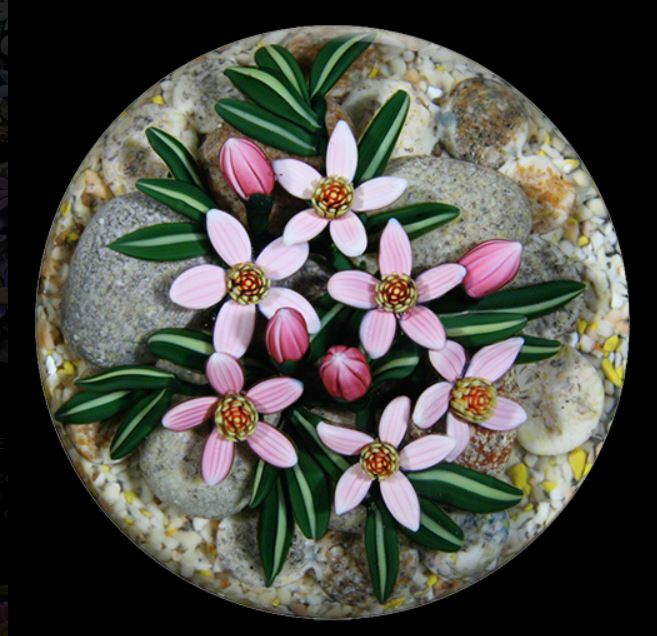 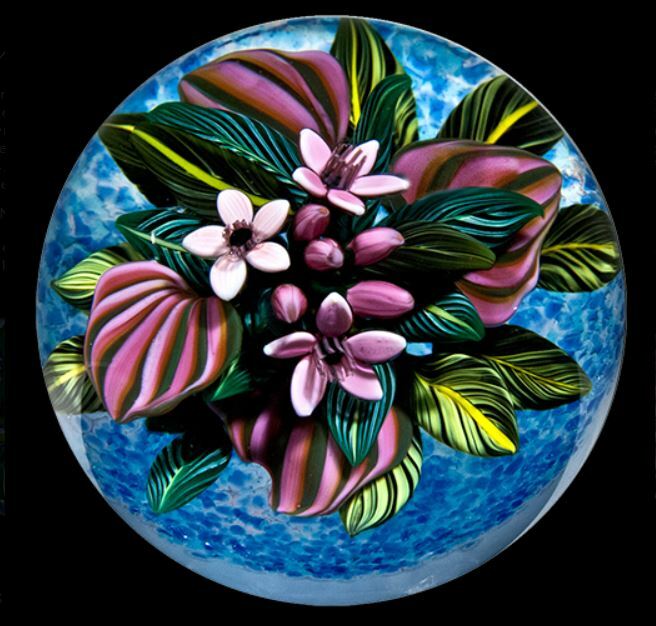 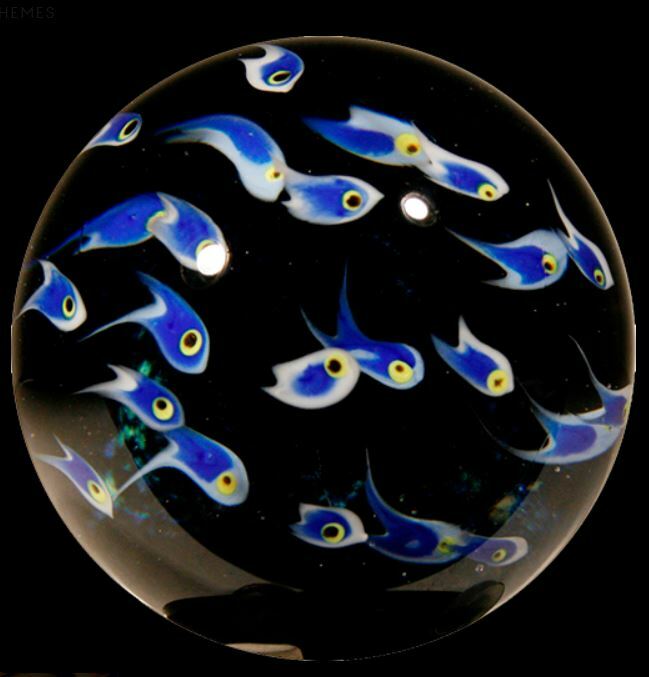 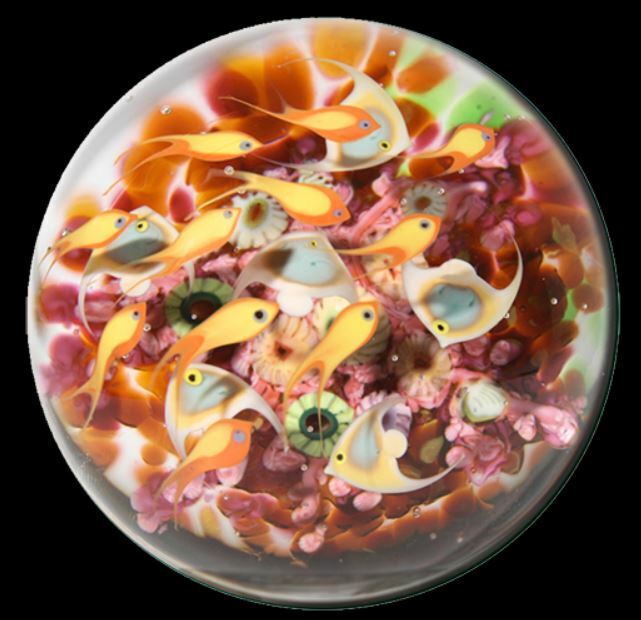 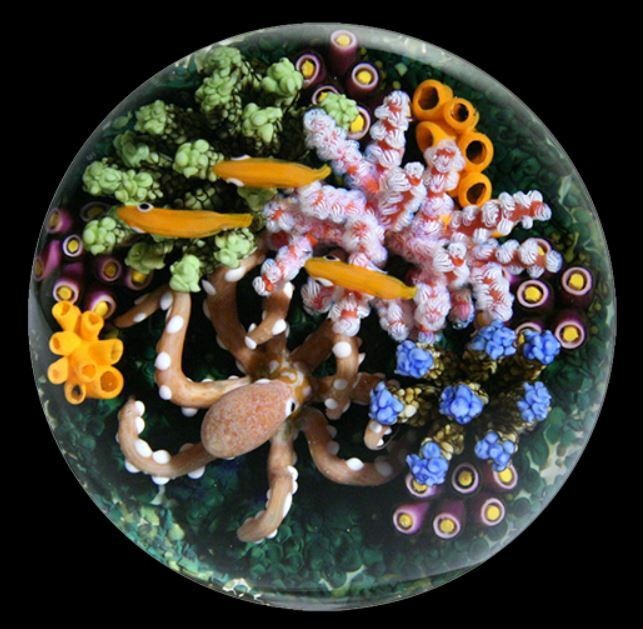 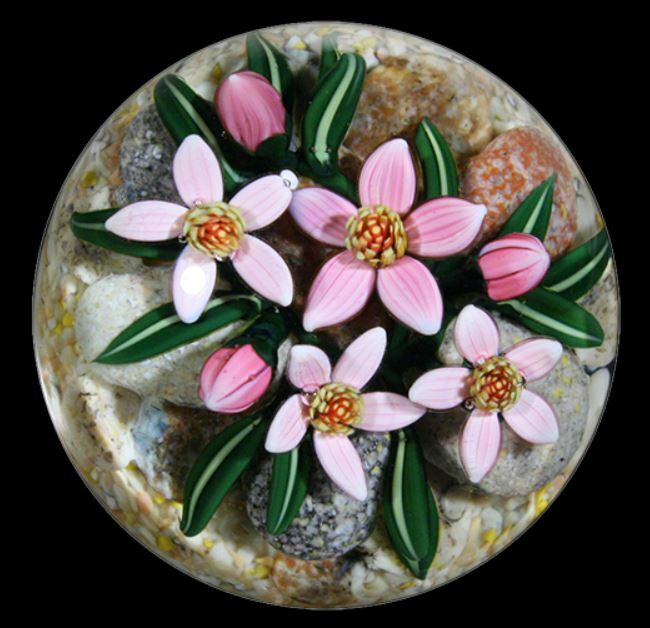 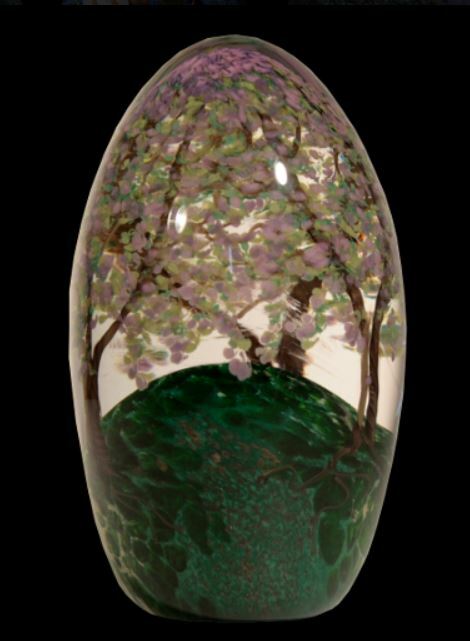 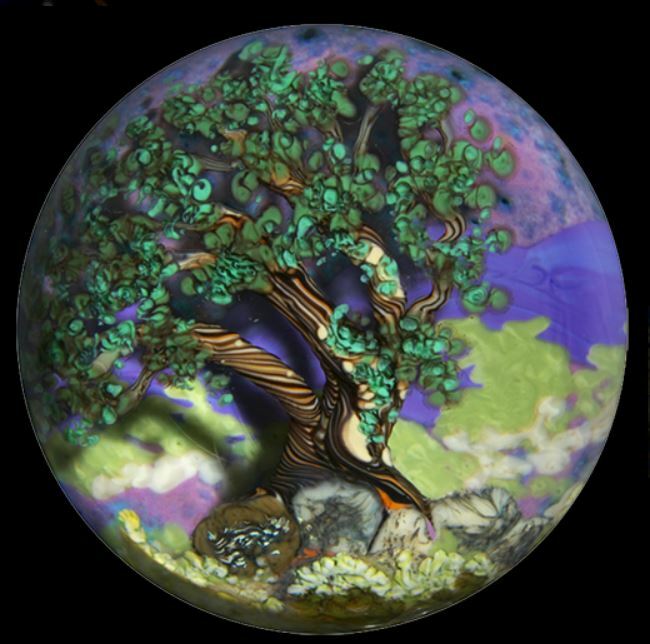 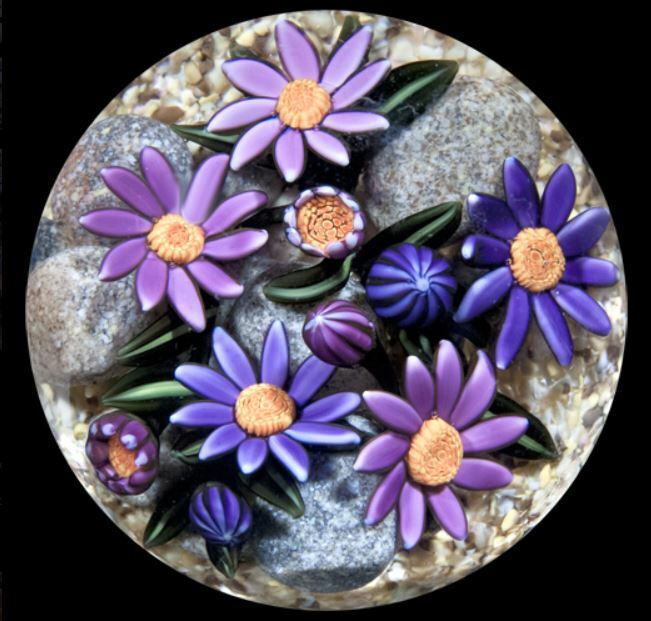 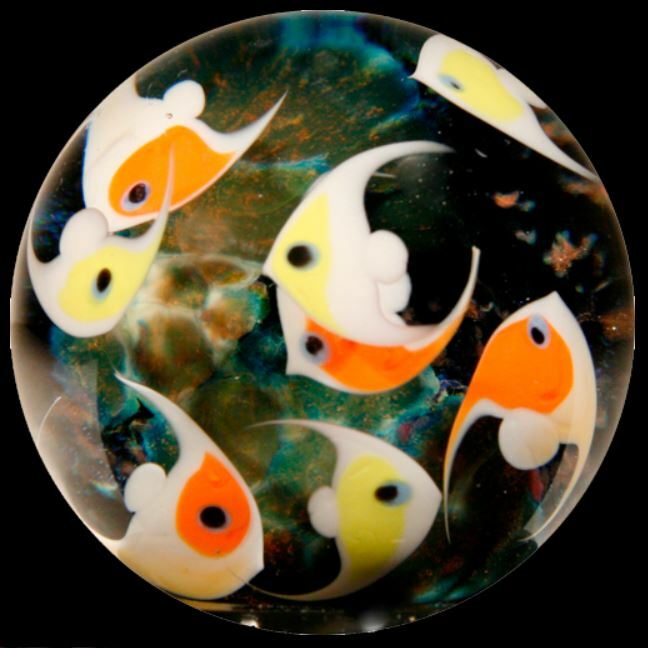 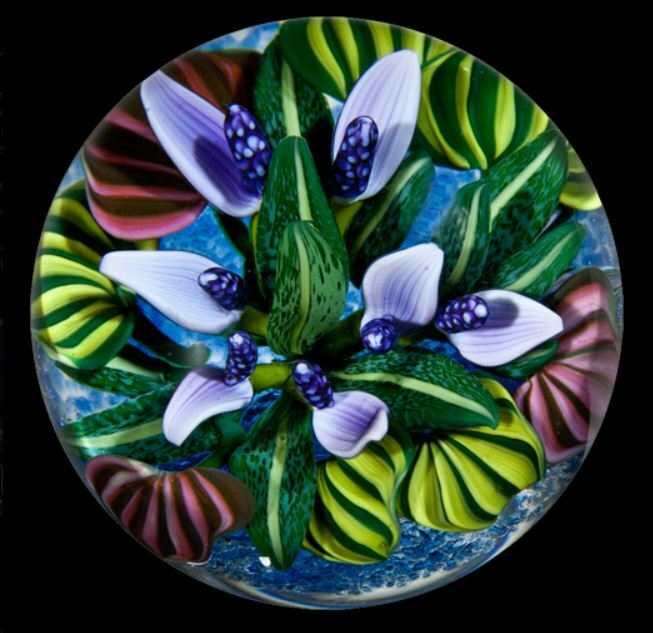 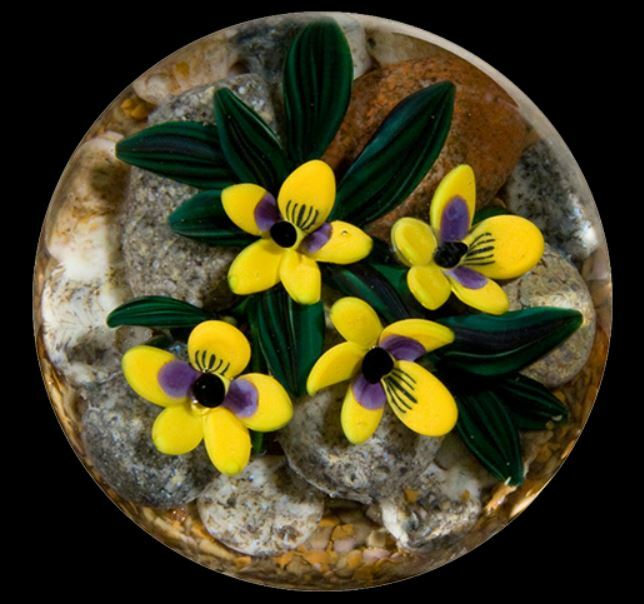 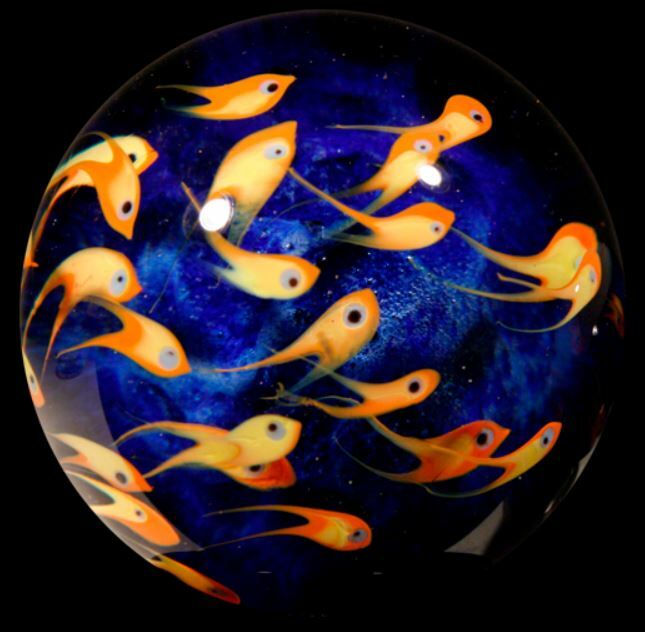 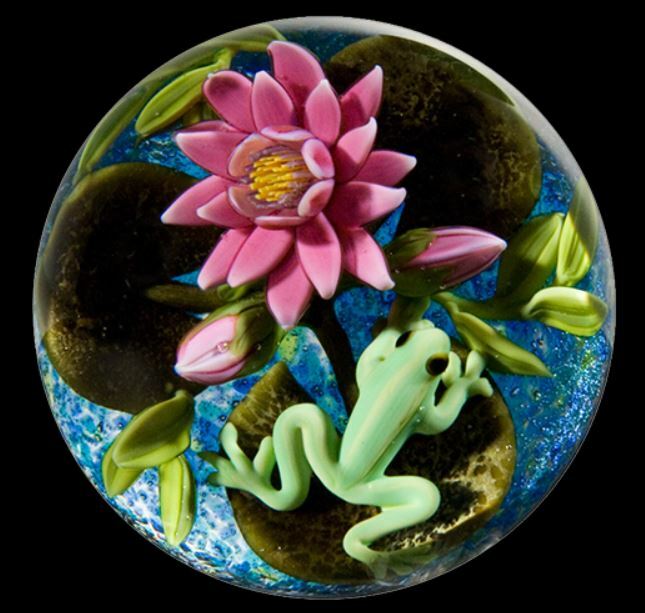 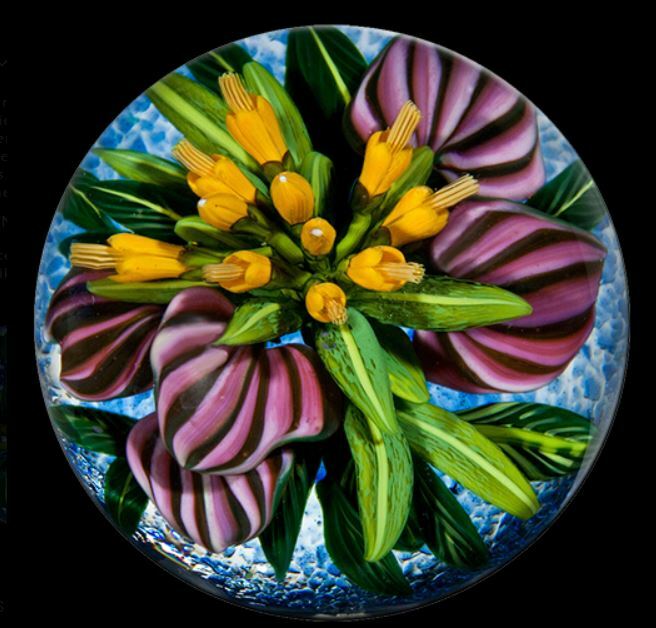 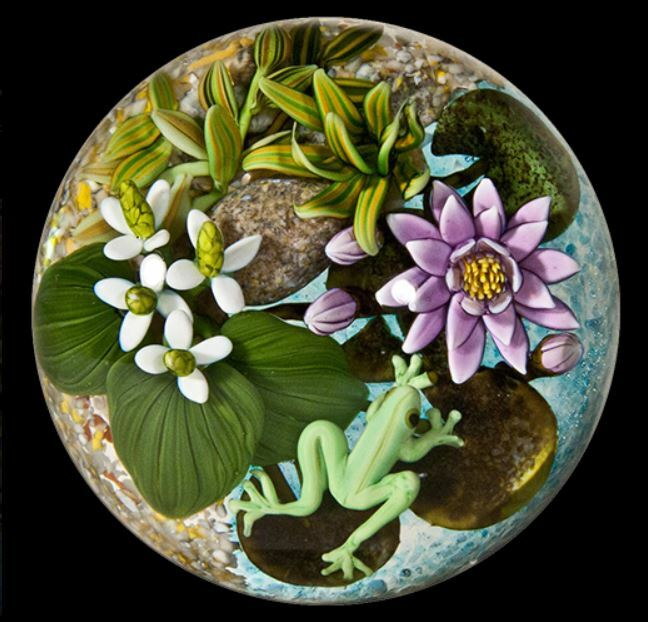 It is Cathy’s hope that her paperweights catch the interest of the viewer and entice them into the tiny world to look in – in ever greater detail.